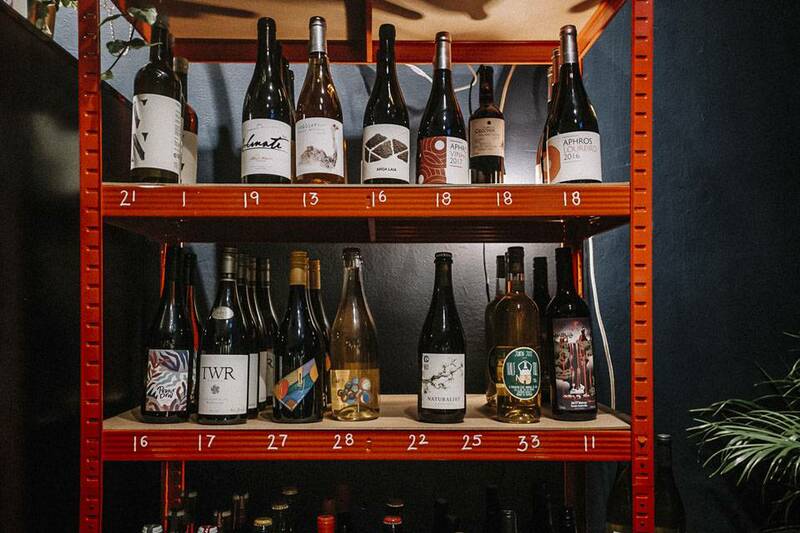 Whether you’re a veritable Dr Frasier Crane in your wine knowledge, or more a house-wine specialist, the fabulous new wine shop and bar Kwas in Huddersfield has you covered. With its character firmly in the ‘wine is for everyone’ camp, you can be sure of a warm welcome of rouged cheeks and sparkling conversation. 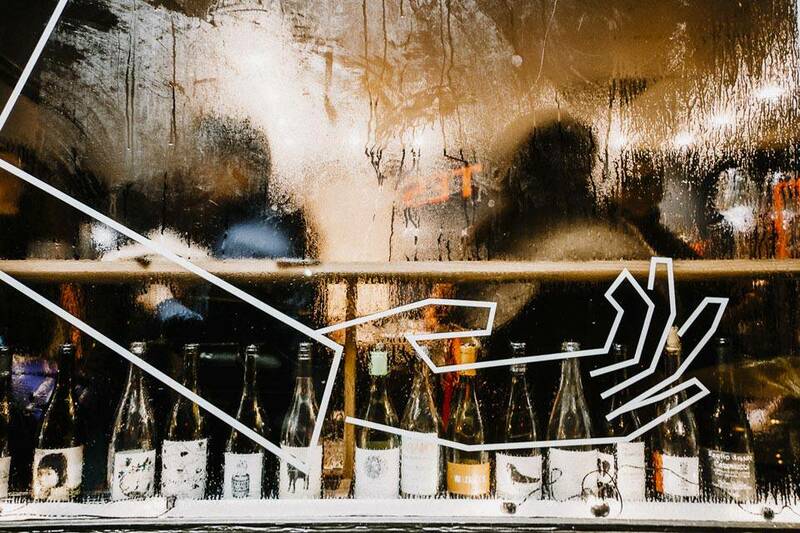 Opened recently by partners in crime, love and wine Duncan and Ola, you get a tangible feel for their passion for Natural Wine, which they are always happy to talk about. 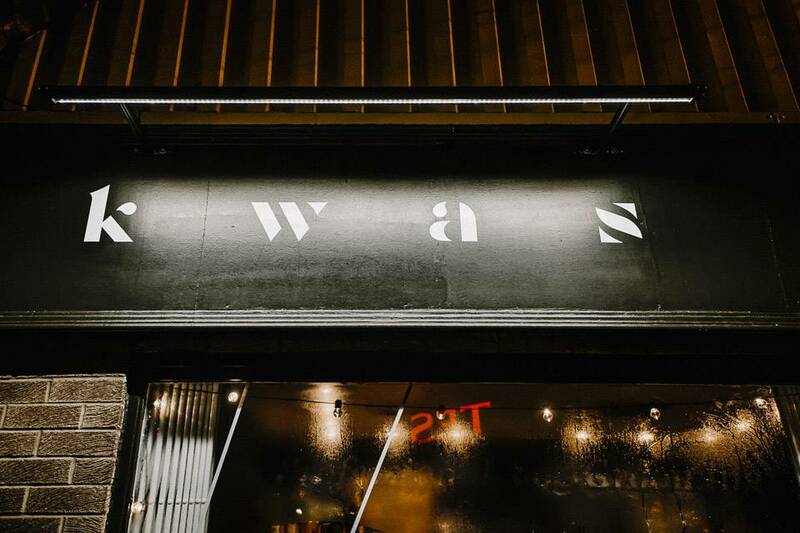 Kwas sells only Natural Wine, to drink in or take away, because they are ardent supporters of this chemical free, vegan wine for reasons of health and hang-over! Natural Wine, or Real Wine, is wine produced in the traditional way – just grapes picked, crushed and bottled which is the calming simplicity we all need. This is actually a bar where you can come away with a clearer head than you had when entering – tranquil in heart and soul. Nestled in Huddersfield’s vibrant town centre, a stone’s throw from the station, this living-room inspired bar puts a refreshing Polish spin on the sometimes off-puttingly up-market wine bars of London and beyond. As Duncan himself says: “My partner, Ola, and I wanted it to capture the essence of a first date – this is the vibe we’re going for, stylish but comfortable”. And why wouldn’t anyone want to spend a first date here? Charming conversation, an atmosphere as light and sweet as whipped cream and pure wines – this little place is a true hidden gem. The prices are reasonable too, most of the 125ml glasses they serve are between £3.50 and £7. The bottles range from £10 to £40, making thoughtful gifts rich with the nostalgia of going to a dedicated wine shop, rather than a certain isle in a supermarket. Even better, if you start to get hungry, you needn’t leave the cosy bar – which is itself a reclaimed French dresser! “We have a local supplier of bread twice a week. Triangle Bakehouse bakes out of their little cottage, baking by hand what is arguably the best Sour Dough bread you can find in Huddersfield’ ‘We are looking to progress over time with regards to food. It will be a wonderfully glorified bar-snack menu, a plant-based affair with things like vegan meats and cheeses to go with the olives and bread we already serve. It’s all about small bites to compliment the wine, not big meals to overpower it!” At least this way you can eat on your first date, without the worry of making yourself look greedy – and small bites are so much easier on first dates anyway. Conversations are easier with amuse-bouche style cuisine rather than huge forkfuls of quinoa and leaves! 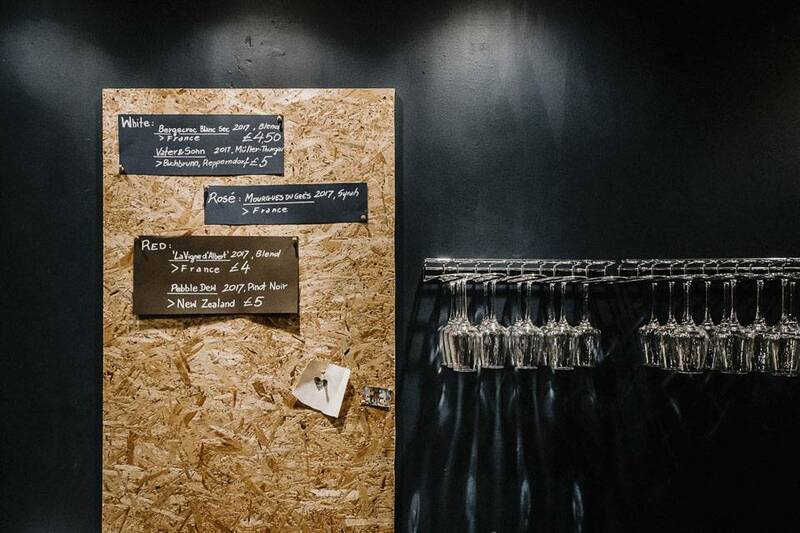 Along with their range of 50+ wines and stylish bar snacks pending, Duncan and Ola are looking to branch out into events, with the first on March the 4th – Live Music from Group Listening and Chris Ruffoni. This with wine, in the cosy Kwas Bar setting, sounds like a delicious evening. Health and environmental consciousness have moved into all corners of the food and drink market – so why not wine? This could be a small change that makes a fabulous difference.